When roast chicken is concerned, perfection is hard to attain. The reason for this is surprisingly simple: the light meat and the dark meat should be cooked to different temperatures. 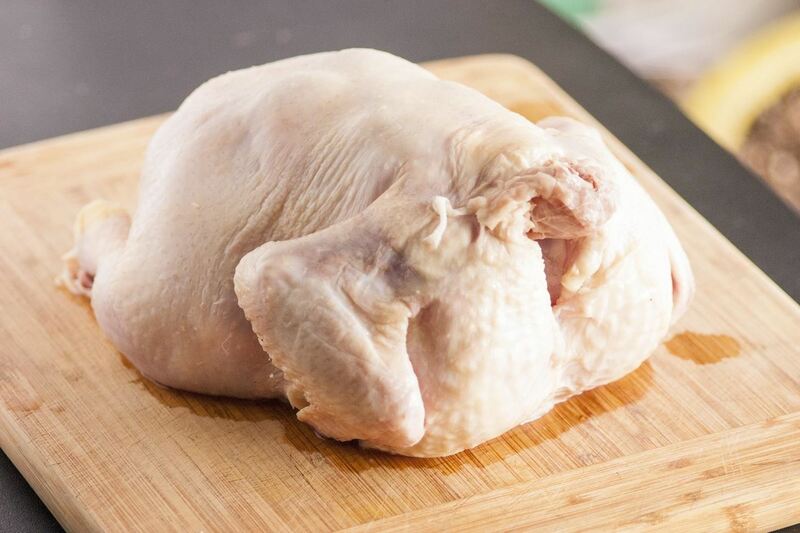 Ideally, chicken legs should be cooked to at least 170°F, while breasts should be cooked to 150°F. Naturally, this poses a conundrum: how can you cook two parts of the chicken to two different temperatures, without taking the bird apart? 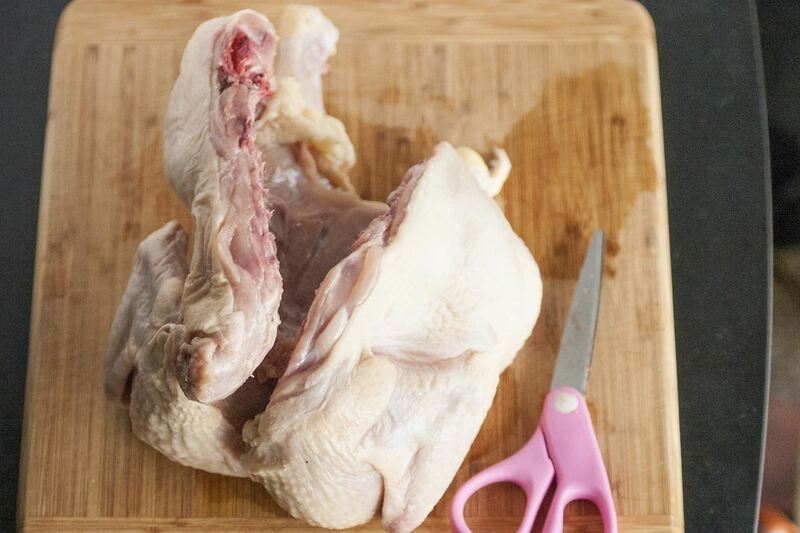 The answer is simple: spatchcocking, a method wherein you remove the backbone of the bird so that the meat lays flat. 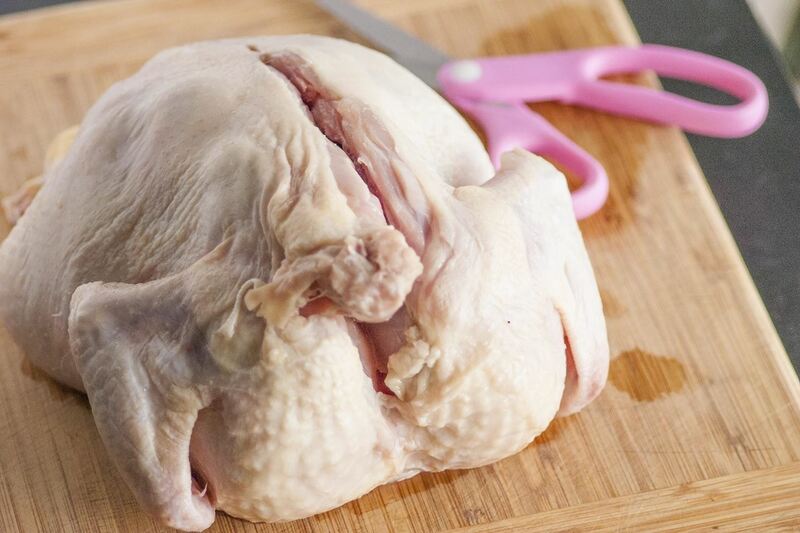 This allows the different parts of the chicken to cook to different temperatures: the circulating air in the oven tends to run hotter at the edges, so the legs receive more heat than the breasts. This allows you easy access to the backbone, which you will be removing. Using a pair of kitchen shears or strong household scissors, cut along either side of the backbone, starting at the neck. It will be smooth sailing until you get to the tail of the bird, at which point you'll have to cut through some cartilage to finish the first incision. If you feel comfortable, you can also perform this task with a sharp chef's knife. After one side of the backbone has been cut, repeat the process on the other side until the backbone is completely removed. 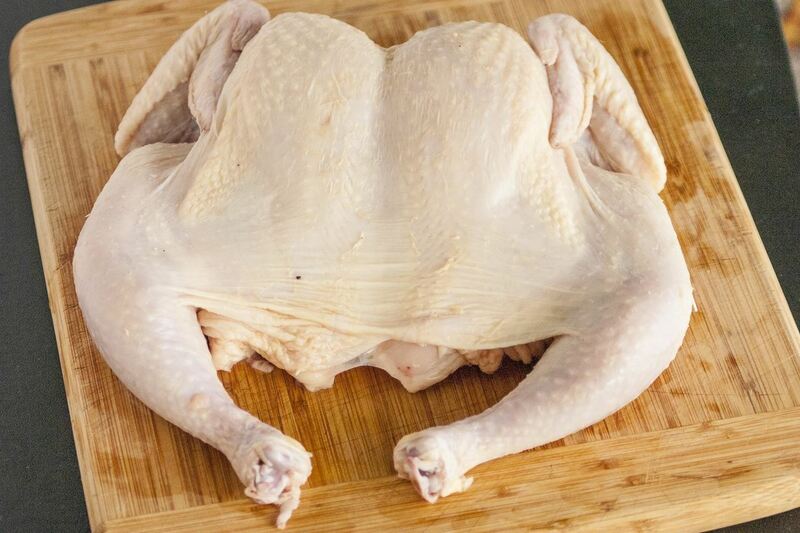 After the backbone has been removed, flip the chicken so that the breasts are facing upward. 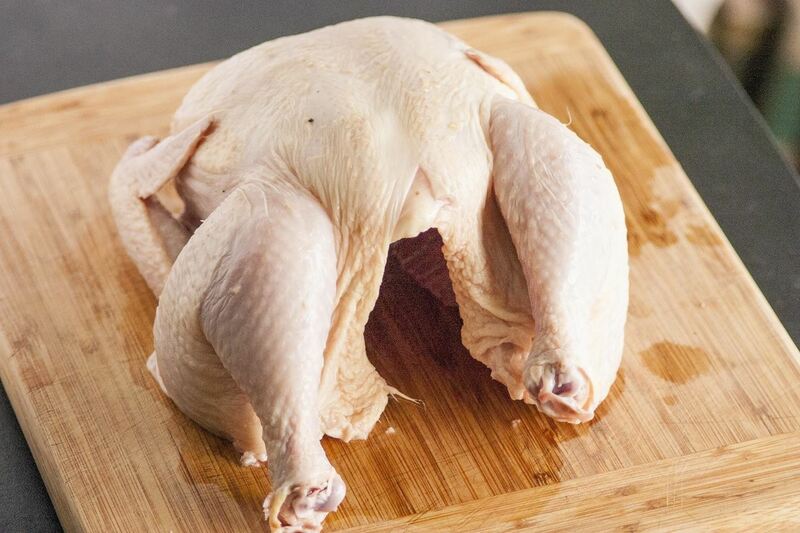 In order to get the chicken to lie flat, you'll need to break the breastbone. To do so, press down on the chicken until you hear the bone break, and the chicken lies flat. 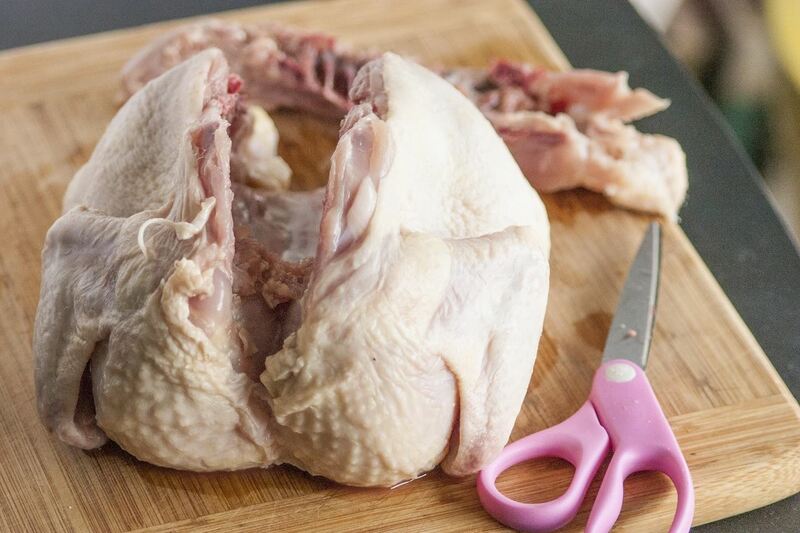 If you prefer, you can flip the bird over and cut through the breast bone to make this task easier. 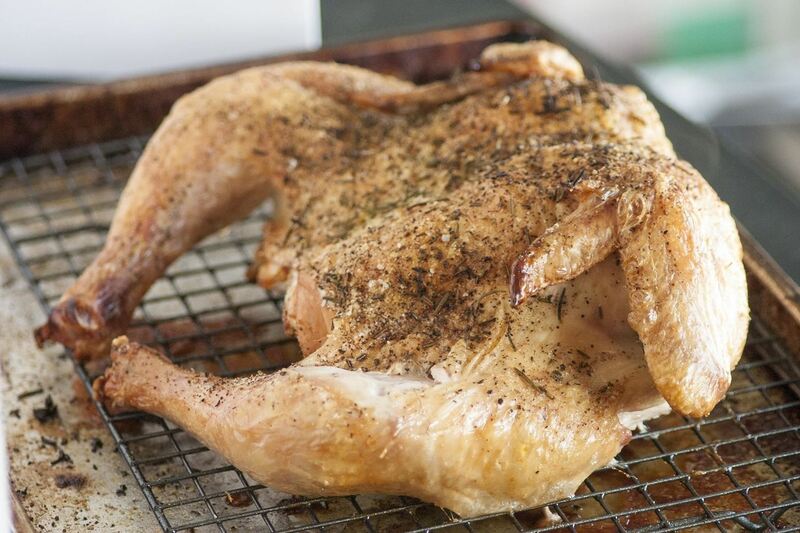 Once the chicken is spatchcocked, you can proceed to roast it as you normally would. I prefer a healthy amount of salt, pepper, and rosemary for about 45 minutes at 450°F. Because the bird will cook faster on the outside, you'll want to check the temperature of the breast before you take it out of the oven. If you're anything like me, once you spatchcock, you'll never go back. A spatchcock chicken is far juicier than a standard roast chicken, and far tastier. I'll never be trussing a chicken and roasting it the old-fashioned way again; as far as I'm concerned, this is the only way to cook chicken.